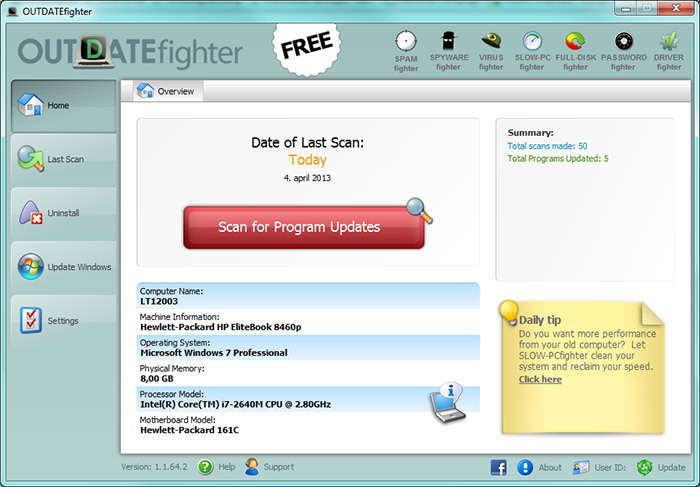 OUTDATEfighter is a totally free software updater & software update Monitor for Windows PC`s. With updated software your PC will work better and be less prone to errors. Our software updater makes sure every downloaded piece of software is tested for spyware, virus and all sorts of malware potentially being hidden in the updates you download. Forget about pop-ups, banners and saving every file manually - just let this fully automatic tool do the work for you. Aaron�s WebVacuum is a utility that downloads files from web sites. Ideal for downloading pictures from web pages with thumbnails, all the mp3s from web sites, or all the files off of any site.